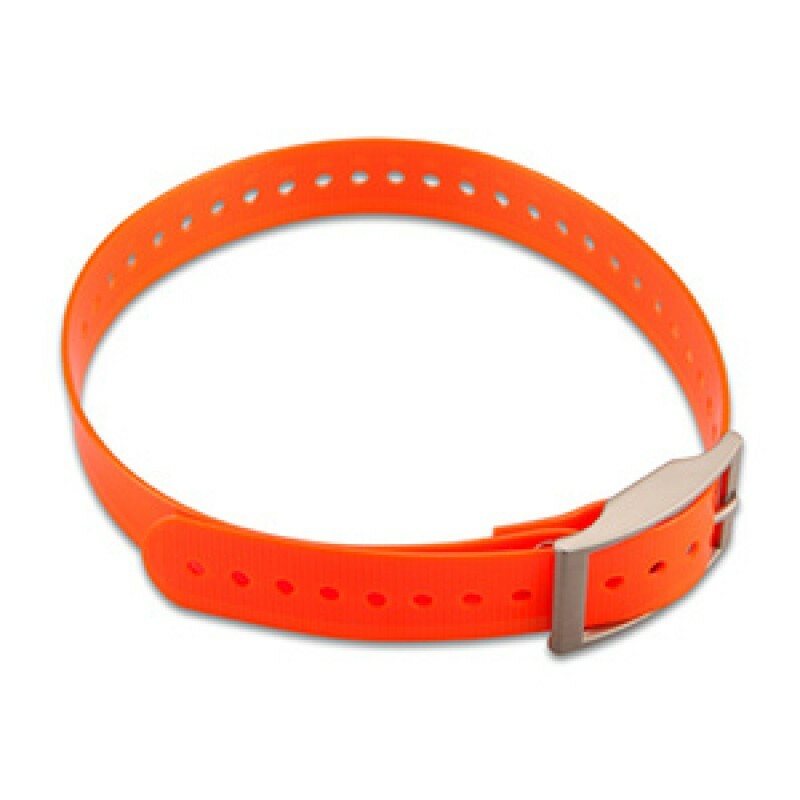 Our polyurethane-coated collar is rugged and waterproof, just like the original collar that came with your TT? 10 or DC-50 - but this one is smaller. The nylon collar has a nickel plated square buckle and collar keeper and has holes spaced to fit dogs with smaller necks, sizes 10.5? (26.7 cm) to 22.5? (57.2 cm). Available in orange only.